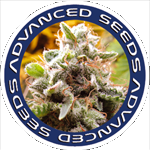 Advanced Seeds - Feminised Collection #2. Free US delivery. 2x Critical is the plant for you if if you want massive flowers! Warning - the flowers can get so heavy with buds that the branches snap so make sure take extra care with the plant when it begins to bud! Critical produces an has an incredible Aroma and is known for its intense effects. This genetics are a combo of Critical Mass x Brazilian x South Indian! 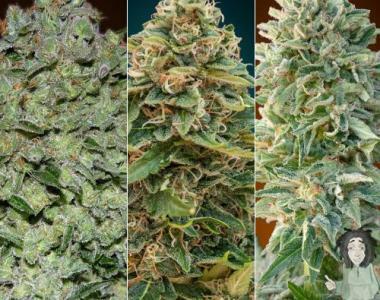 2x Ice Kush is a voluptuous cross between a strong Kush strain and a specially selected African Sativa. Like all potent Indicas, this plant produces typical Indica buds but on a larger scale than most, making it appealing to commercial grows. 2x Somango Widow is is a mix between Early Widow and Somango. The Indica-dominant plant retains the potency and high resin production of Widow family, but with an exuberant branching and a larger size. It has a delicious sweet mango flavour and an aroma of tropical fruit. Flowering usually takes between 55 and 60 days, and the yield is between 250 - 300 grams.